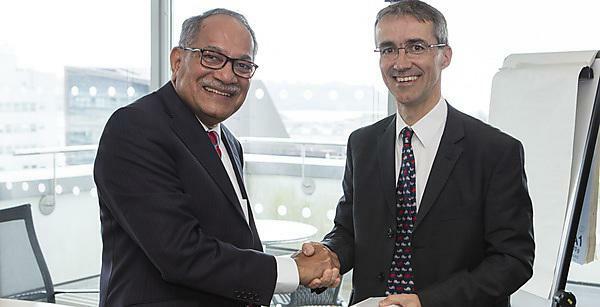 The University of Plymouth and Nitte University in India have entered a formal partnership to further research into the impact of climate change on the marine environment and public health. The two institutions are already collaborating on a number of initiatives, and were jointly awarded funding in December 2016 to investigate the effects of South Asia’s first outbreak of ciguatera fish poisoning. Now they have signed a Memorandum of Understanding which will see academics and students from Plymouth’s School of Biological and Marine Sciences working more closely with Nitte’s University Centre for Science Education and Research, part of the UNESCO Microbial Resources Centre for Medical and Marine Biotechnology. This will include exploring continued joint research opportunities, as well as teaching and postgraduate study experiences that could benefit students and academics at both institutions. The Memorandum of Understanding states the collaboration will aim to promote research leading to a better scientific understanding of the impacts of global change on natural resources specifically, but not limited to, marine and aquatic environments. It will also explore the potential for staff and student exchanges, with a view to broadening the experience of faculties and students at each university and providing them with increased cultural understanding. And there will be potential for postdoctoral, PhD and Masters students from both institutions to undertake periods of study and research at either university.